What about using Natural Peanut Butter? You could really use any peanut butter you like as long as it’s unsweetened. I LOVE Swerve… very excited to try this recipe! Wow! I’ll have to try these! We use sucanat for sweetener. So easy! SO EASY! Sucanat would be great in this recipe! It is wonderful with sunflower seed butter! erythritol is a natural sugar substitute and Swerve is the brand I like to use. You can sub your favorite granulated sweetener 1:1. Can I add chocolate chips to it ? Of course. That makes them extra tasty! I loved these, had to share them with my husband else I could’ve polished off the lot. So yummy!! This recipe looks great. I’m confused how these can be 1 net carb though. By my calculations these are 60-70 carbs/15 which should be 4.5 or so per cookie. Can you clarify how you computed? It will depend on the sweetener you choose to use… I used Swerve and when I enter my calculations into My Fitness Pal recipe builder with the exact brand ingredients I used it came out at 1.3 net carbs. I calculated using natural peanut butter…. no sugar added. I did recalculate it and for most brands of natural peanut butter it does come out as 2 net carbs. I have edited the post. Mine fell apart pretty easily, more like crumbled. Did I do something wrong? 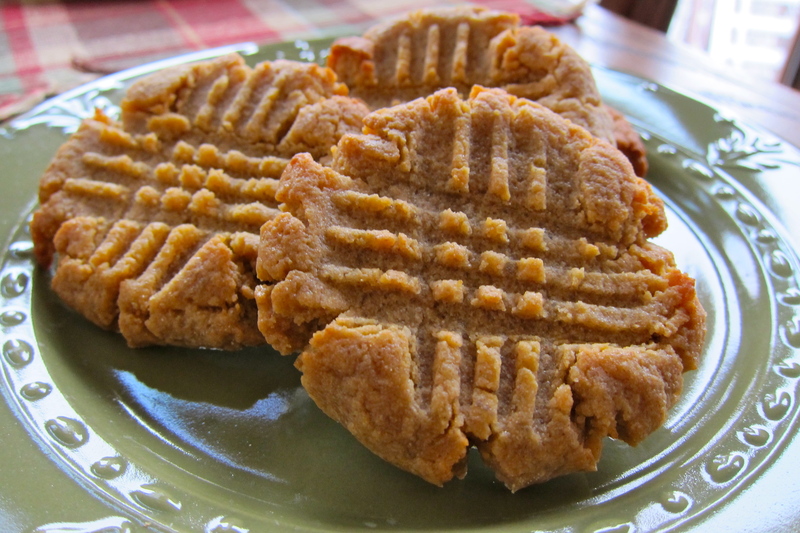 Will stevia work in making peanut butter cookies? As long as it’s the granulated I would think it would be ok. I’ve not tried it though. just made the and omg!! one word: YUM!!! thank you for sharing!! Can I substitute Monk FRUIT? Will it taste ok? I would think so, I love monk fruit sweetener. I have Swerve but it’s the powdered kind. Is that ok? I have only used the granulated Swerve but I think that the powdered would work just fine. I made these this evening. They are way too sweet. I think I will cut the swerve in half next time. I make them tonight and thought they were way to sweet as well. I wish I would have cut the erythritol in half also!